Please scroll down to enjoy video clips & interviews. 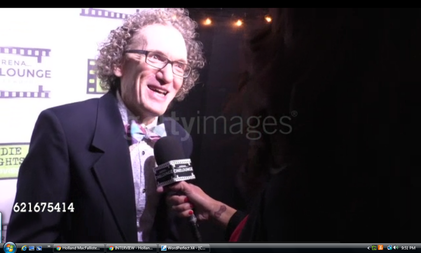 Delighted to see this red carpet interview show up on Getty Images Video. Click on the picture for the 45 second interview! INTERVIEW - Holland MacFallister on making movies at the 'Fell, Jump, or Pushed' premiere at Arena Cinema in Hollywood at Celebrity Sightings in Los Angeles on November 05, 2016 in Los Angeles, California. ​I love being a guest on Dr. Jane Greer's radio show! Click on the picture to listen to this year's visit. 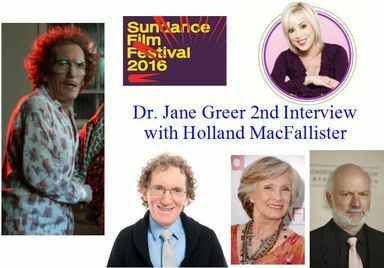 Dr. Greer and I discuss The Greasy Strangler and it's premiere at Sundance 2016 in the first half. The story of my brief moment in time with Cloris Leachman and James Burrows begins at the 11 minute mark. Coronation by bicycle helmet as I become an official Brand Ambassador for the incredible new line of alloy scooters from Yedoo in the Czech Republic. 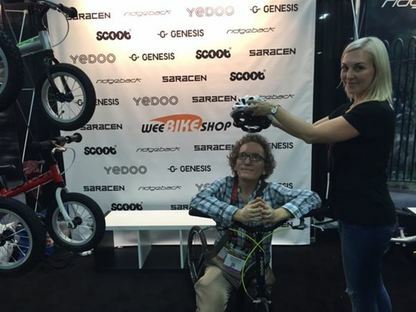 I had a blast in Las Vegas at Interbike (the biggest bike show in the U.S.) riding and showing off these beauties. Click on the picture for the full story and a profile on my love of kicking.